Wikimedia Commons has media related to Congressional Hispanic Caucus. The Congressional Hispanic Caucus (CHC) comprises 26 Democratic members of the United States Congress of Hispanic descent. The Caucus is dedicated to voicing and advancing, through the legislative process, issues affecting Hispanics and Latinos in the United States and Puerto Rico. The CHC was founded in December 1976 as a legislative service organization of the United States House of Representatives. 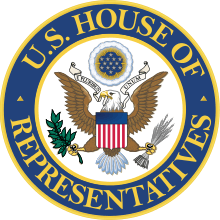 Today, the CHC is organized as a Congressional Member organization, governed under the Rules of the U.S. House of Representatives. The Congressional Hispanic Caucus aims to address national and international issues and the impact these policies have on the Hispanic community. The function of the Caucus is to serve as a forum for the Hispanic and other Members of Congress to coalesce around a collective legislative agenda. In addition to covering legislative action, the CHC also monitors Executive and Judicial issues. CHC legislative priorities cover all areas that have a direct impact on the Hispanic or Latino community. In order to best address these diverse issues, members work in smaller task forces that draw on their expertise and develop priority legislation within each area. The CHC is currently composed entirely of Democrats, although it had been a bipartisan organization since its founding. 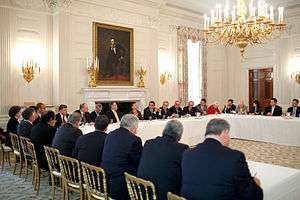 The Republican members left in the late 1990s over policy differences and, in 2003, formed their own group, the Congressional Hispanic Conference. Senator Bob Menendez, a Cuban American Democrat from New Jersey, is currently the only member of the Congressional Hispanic Caucus from the Senate. The Congressional Hispanic Caucus (CHC) was organized in 1976 by five Hispanic Congressmen: Herman Badillo (NY), Baltasar Corrada del Río (PR), Kika de la Garza (TX), Henry B. Gonzalez (TX) and Edward Roybal (CA), to serve as a legislative organization through which legislative action, as well as executive and judicial actions, could be monitored to ensure the needs of Hispanics were being met. It was staffed by Raquel Marquez Frankel, who had grown up in Silver City and Albuquerque, New Mexico, and had become, in 1947, the first Latina to attend the University of New Mexico School of Law. The goal was to work in conjunction with other groups, both inside and outside Congress, to strengthen Federal commitment to Hispanics and heighten the community's awareness of the operation and function of the American political system. On January 31, 2007, a story on the Politico.com website reported that Rep. Joe Baca had called Rep. Loretta Sanchez a "whore" in a conversation with Speaker of the California Assembly Fabian Núñez, prompting Sanchez to resign from the CHC. Rep. Baca has denied this charge, but two other CHC members, Linda Sánchez (Loretta's sister) and Hilda Solis, expressed support for Loretta Sanchez. In the case of Solis, Baca called her "'a kiss-up' to Speaker Nancy Pelosi," for which he has apologized to Solis both privately and publicly. A year prior to the "whore" incident, The CHC's Political action committee gave $3,000 to Joe Baca's children's campaigns for state offices in California. Although Baca recused himself from the decision to make the contributions, six members of the caucus criticized the decision, saying that CHC's PAC should support only federal candidates. Consequently, on November 15, 2006, when Joe Baca was elected chair of the CHC, Solis and the Sanchez sisters challenged his election, saying that the voting should have been done by a secret ballot. On Monday, April 2, 2007, Congresswoman Linda Sánchez closed her offices in honor of César Estrada Chávez Day, a state holiday in California (which fell on a Saturday that year). CHC chair Baca made the following comment on Sánchez's decision to close the office "I believe the best way to observe César Estrada Chávez Day is not by taking the day off from work or school." On April 12, Linda Sánchez announced that she had "suspended her membership in the Congressional Hispanic Caucus, citing a need for 'structural reforms to ensure that the caucus is more equitable and inclusive of all its members.'" She specifically stated that her decision "was not based on personal animus directed at Baca." On June 30, 2013, Congressman Filemon Vela, Jr. resigned from the CHC, citing opposition to the Senate immigration bill which the CHC endorsed, saying: "Opponents of serious immigration reform are extracting a pound of flesh in this process by conditioning a pathway to citizenship on the construction of more ineffective border fence." The Congressional Hispanic Caucus has received support over the years from Mexican billionaire, Ricardo Pliego and Azteca America. Andres Ramirez, a Nevada political consultant, and Kevin de Leon, the President Pro Tempore of the California State Senate, have worked together to get money from Azteca America to various caucus groups and political campaigns, as Pliego is a known rival to Carlos Slim, whom both deLeon and Ramirez have attacked through the use of phony groups such as Two Countries One Voice. Ramirez has appeared at functions for the Congressional Hispanic Caucus. The effort to recruit past students and fellows involved in programs of the Congressional Hispanic Caucus causes some political bloggers to speculate over the effort by California State Senator Deleon and his colleague California State Senator Jim Beall to use their legislative staffs, some of whom have been involved in programs of the Congressional Hispanic Caucus, to take over several local groups of California Democratic Party State Central Committee delegations for the purpose of establishing control for deLeon and his allies. In October 1981, the House Committee on House Administration drafted new regulations stipulating that fundraising activities were to be moved off all government premises. Members of the Congressional Hispanic Caucus decided to maintain a legislative support organization on Capitol Hill, the Congressional Hispanic Caucus, and moved the non-profit, fundraising organization, today known as the Congressional Hispanic Caucus Institute, Inc. to a new residence.